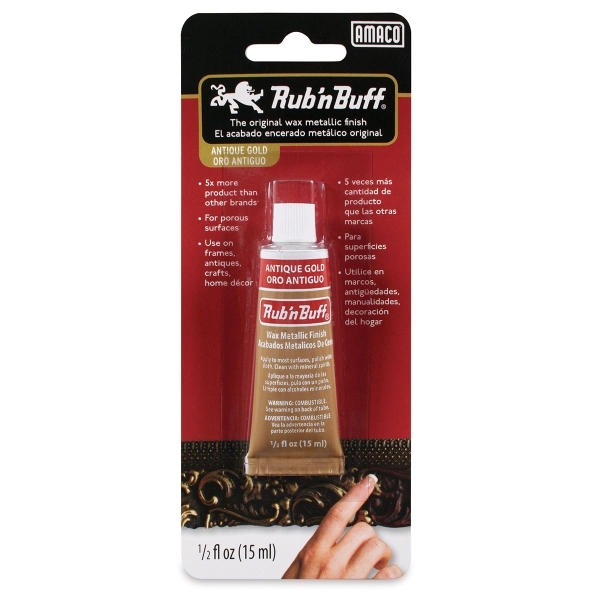 Use Amaco Rub 'n Buff Metallic Finishes for decorating and antiquing wood, plaster, pottery, metal, leather, and gessoed surfaces. Rub on the creamy paste and buff to a beautiful luster. Colors can be blended. ® Amaco is a registered trademark of American Art Clay Company.® Rub 'n Buff is a registered trademark.